"The first of its kind, Toddlers Table Tennis Programs in School." We are proud to say that we are the pioneer of such programmer in Gujarat. Under Toddlers Table Tennis program we *train 2.5 year old kids to learn Table Tennis*. Tables for this program are specially designed by our concern company keeping the comfort and convenience of kids. Toddlers Table Tennis develops Motor, Locomotor skills, projection skills, reception skills and many more in kids that helps them developing their inner and natural skills. As of now in s a short span of time we have been able to get more than 50 kids to get trained our umbrella. 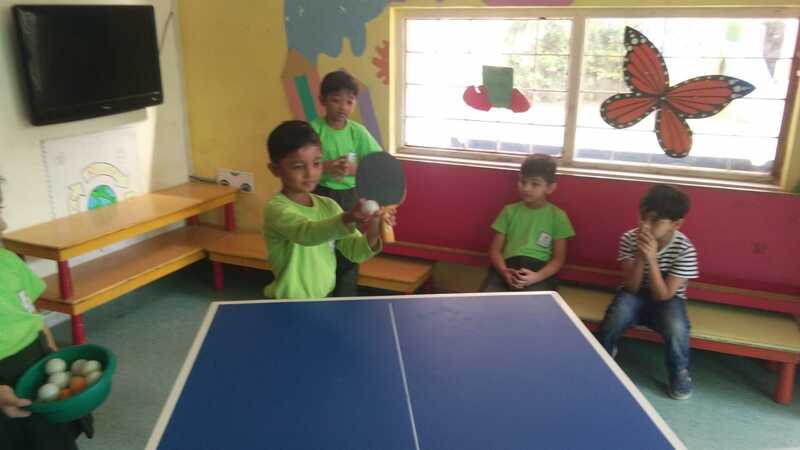 ASA is prospecting a Toddler Table Tennis program in your school with a crux of training players and flowering their inner skills and letting it come out with trained skills.